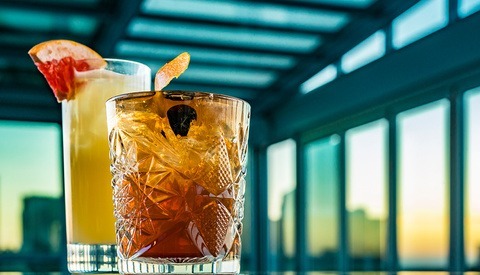 Do you use color theory as inspiration for your photography? If you are ever feeling stuck or are in a rut, I have found the color wheel is a great source of inspiration! 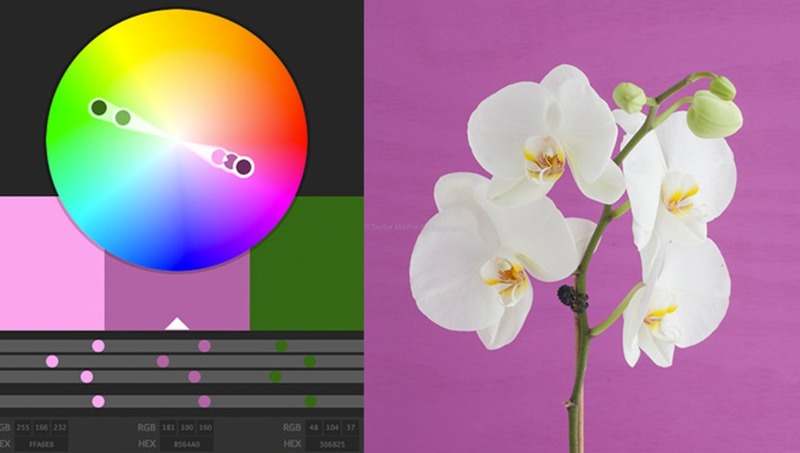 There are many different ways to look through a color wheel, but my favorite is using Adobe Kuler. Let me show you how I used it for inspiration. For my sample color, I am using the Pantone 2014 Color of the Year, Radiant Orchid. This is a pretty bold color, so I wasn't quite sure what I wanted to pair it with. For inspiration, I turned to Adobe Kuler. Here is how to use Kuler. 1. 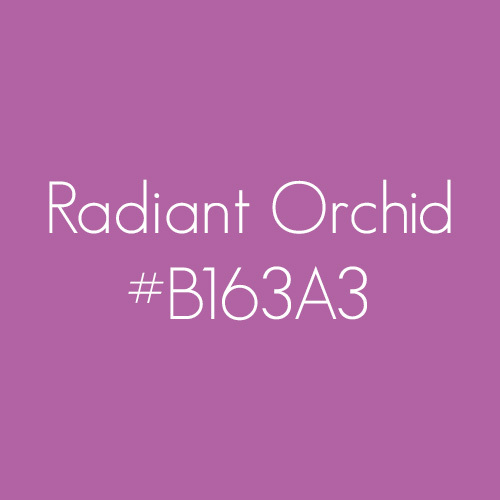 Create a swatch of your desired color, in my case radiant orchid. If you are working off an existing color scheme, you can use a picture and Kuler will select sample the color out of that scheme. In this post, I am showing you how to use Kuler when you have a specific color that you want to work with. 2. Go to Kuler's Website. You will see something that looks like this. 3. Click on the camera-shaped icon called "Create from image," located to the right of the color wheel. 3. Import your swatch. The site will change a little and look like the image below. 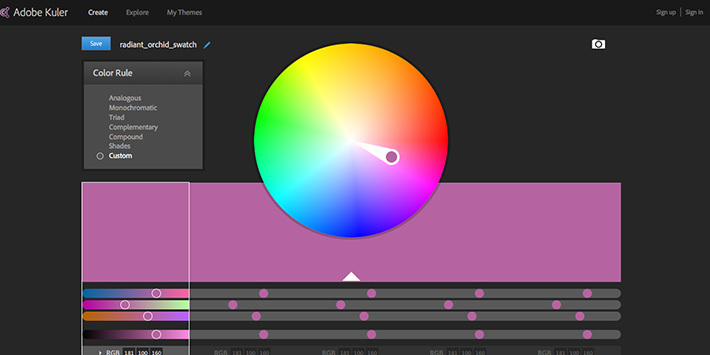 Click on the color wheel icon to go back to Create From Color Wheel screen. 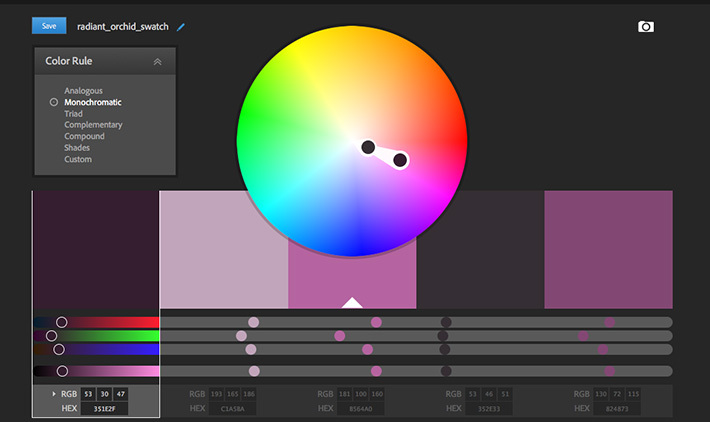 If you have an existing image you are using and sampling colors out of it, play around with the color moods tab on the right and moves the white circles around to select the colors that you want to work with. 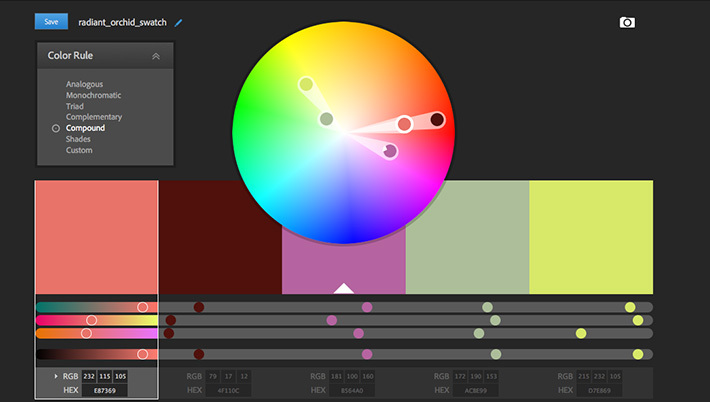 This will take you back to the color wheel with your desired color now imported. 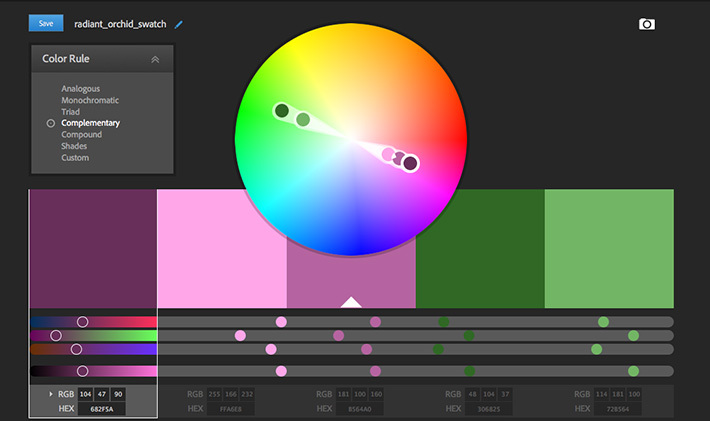 From here you can click on the color rule menu and see what colors work together. Your swatch color will stay in the center and the colors on the sides will change as you try different rules. Here is what it looks like under a monochromatic color rule. These are your options under a complementary color rule. 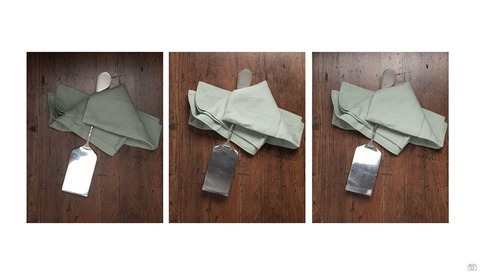 Here are some ideas using a compound color rule. 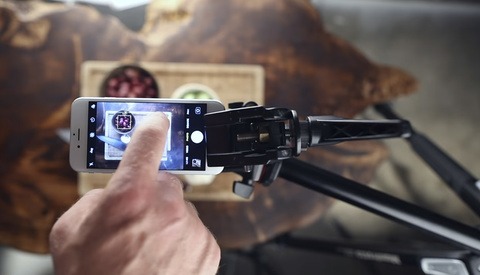 All of the sliders are adjustable and will give you different shades using the color rule. WARNING, you can easily get lost for 20 minutes playing around with the different possibilities. From this data, you can gain inspiration and get an idea on where to begin when styling and propping your shot. I took a few minutes to figure out what would work with my bold Radiant Orchid background. 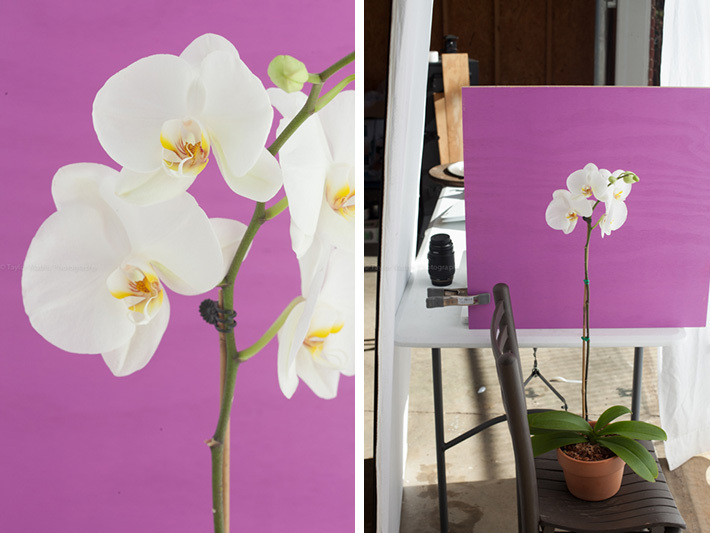 After looking at the complementary color rule, I decided that an orchid would work. The petals of the orchid are white. When dealing with white, I look at it as a neutral and something that can go with any color, so the petals would fit in perfectly. The green on the leaves and stem worked with the color rule. Overall I feel that this beautiful flower was a nice match for the bold and vibrant Radiant Orchid background. Here is the final shot with lighting diagram. Below are some other pictures that I have used Adobe Kuler to gain inspiration for the styling and propping. You may see a common theme. With food, I really like using orange/yellow/reds paired with shades of different blues. If you are ever feeling stuck creatively, or you aren't quite sure what color to pair with a subject, Adobe Kuler is a great launching point to styling and propping your shoot! If you are on the go, there is also an App version of Kuler that Jerrit discussed earlier this summer. 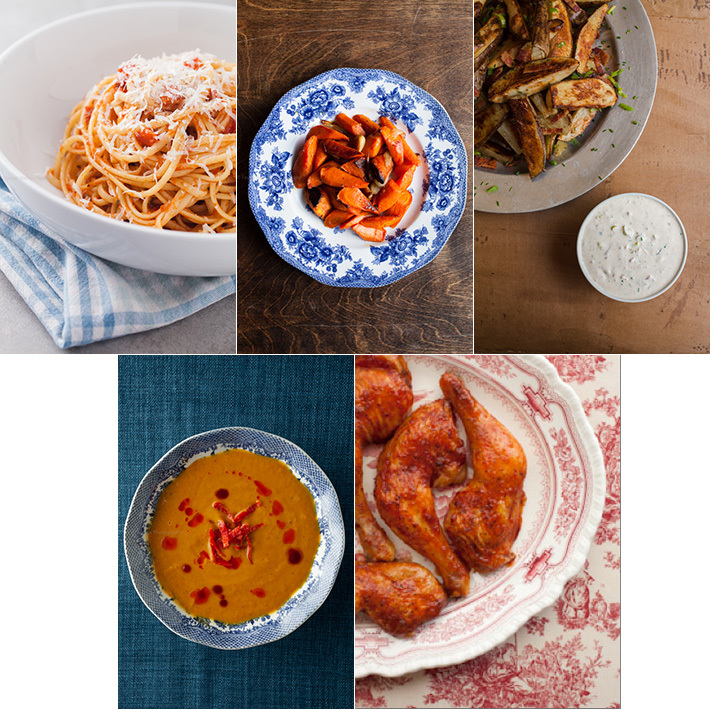 If you want to learn more about color theory and how to use color rules in your photography, check out photographing FOOD Issue 2, Color and Camera. Brilliant idea and awesome post as always, Taylor! Marvelous! Just put something about it on my page! Man that was useful Taylor, great post as always. I use a color wheel constantly when picking background colors for still life stuff.